Our committee members are all volunteers who meet quarterly with managing agents Bernicia to monitor the Trust and ensure developments continue in the spirit of the founders. For interested groups, our current Vice Chair, Peter Matthew, is available to present a talk on the history, development and ongoing work of the Trust. He can be contacted through Bernicia. A lifelong member and ordained elder at St Columba's church, Margaret joined the Square Building Trust on her 21st birthday in 1949 and served as a committee member for 66 years. 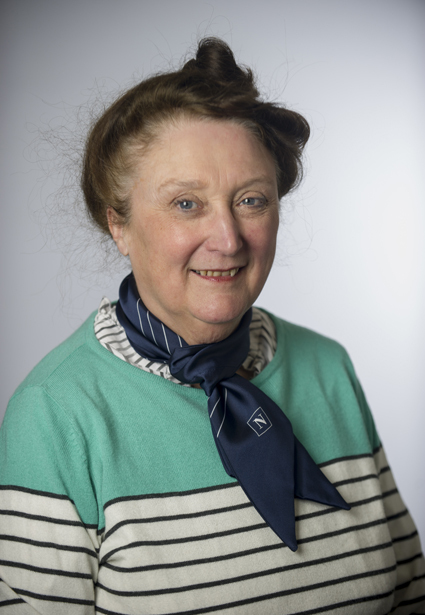 She officially withdrew from committee duties and retired from the role of Vice Chair at the Annual General Meeting in 2015 but continued to take a strong interest in the ongoing work of the Trust. 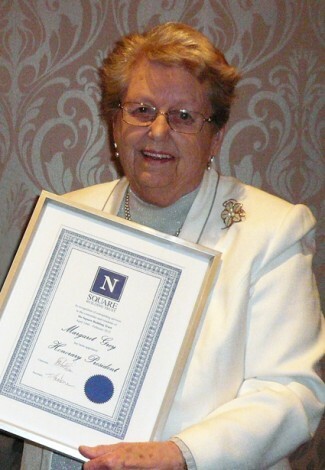 It was unanimously agreed by the committee of members that Margaret 's dedication and service should be recognised by her election to the position of Honorary President; a position she held until she passed away peacefully in November 2017. Bill has over 30 years in housing management, including 14 years as Borough Housing Officer for Blyth Valley Borough Council. 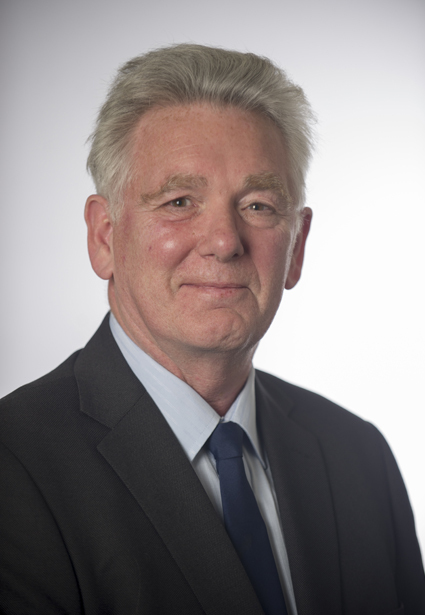 He has been both Secretary and Chairman of Northern Counties, Chartered Institute of Housing and is an Honorary Fellow of the Chartered Institute of Housing. 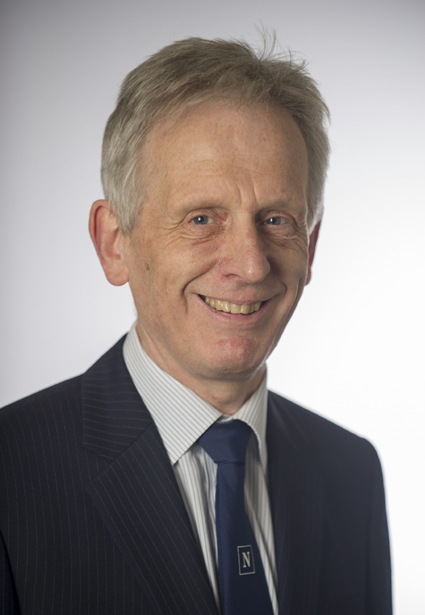 Chair since 2001, his specific areas of interest include housing management, tenant involvement and development. Claire has been a primary school teacher for 30 years. She has taught in both the east end and west end of Newcastle and worked with children and families from a variety of backgrounds. She currently job shares, allowing more time for family and involvement with St Columba’s church and the Square Building Trust. Claire has attended the church for over 45 years and has been a member for 35 years. She is an ordained elder and feels privileged to play a small part in continuing the work started by church members over 80 years ago. Claire is particularly interested in tenant involvement and the work the Trust is doing with supported housing. 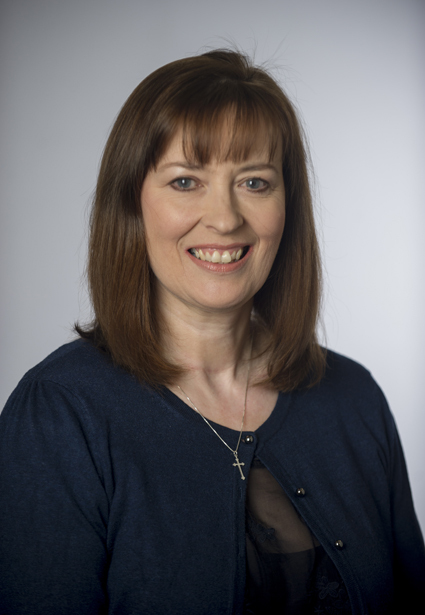 Kris has spent over 25 years working in communications, PR and marketing, in the arts, economic development, local government and the NHS as well as working freelance and in the private sector. She also has experience in public consultation and research. Kris's interests lie in the Trust’s role of providing specialist housing and with tenant involvement, as well as in the history and development of the Trust over its lifetime – helping ensure that the founding principles of provision of high quality homes for those in need remain at the core of its work. Deborah is a retired Local Government Officer. She worked for North Tyneside Council for over 38 years in areas including regeneration, external funding and housing. 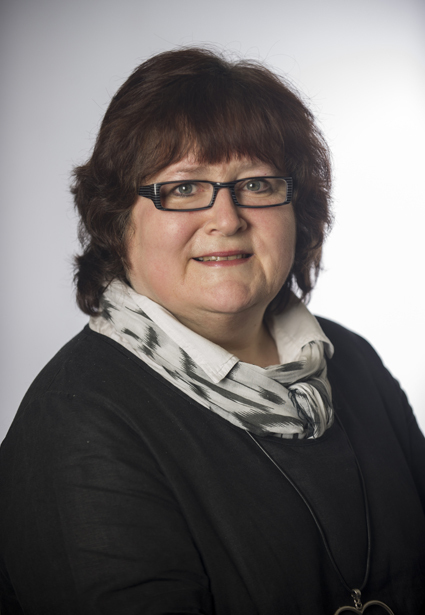 Her final senior managerial post included responsibility for the development and delivery of the borough's overall housing strategy, preventing homelessness and increasing the supply of affordable homes. Areas of interest include ensuring the Trust’s homes meet the demands of those in the highest need, whether through new-build, acquisition or conversion. Deborah is keen to have an efficient, effective long-term business plan which achieves value-for-money and is responsive to residents' changing requirements. 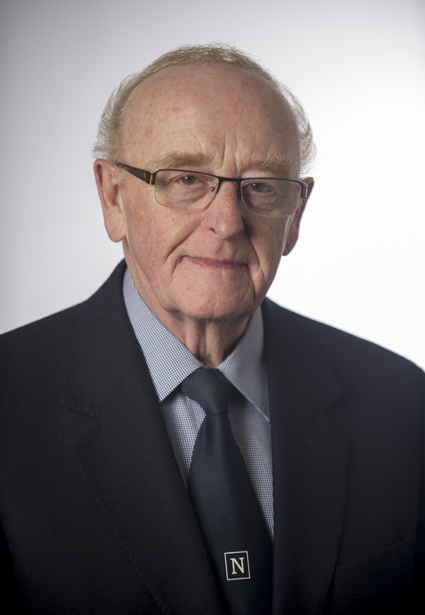 John worked for many years in the Housing Department at North Tyneside Council until he retired in 2014. He is currently one of the longest serving members of the committee bringing continuity and experience to the team. 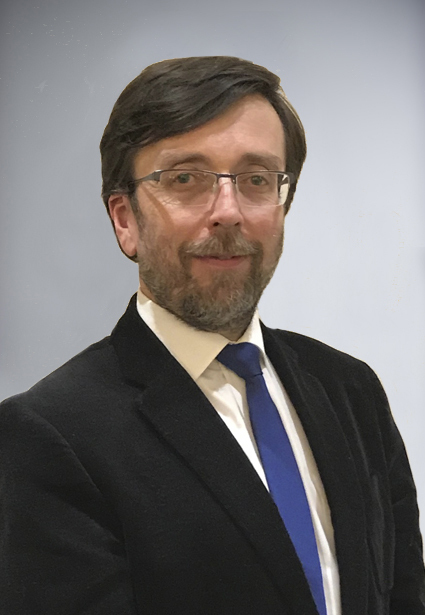 In his vital role as Secretary he produces the minutes at Trust meetings and is responsible for ensuring the administrative and corporate business of the Trust is run smoothly and efficiently. Joan worked as caretaker at St Columba's United Reformed Church in Northumberland Square for 25 years until her retirement when she moved into one of the Trust's flats on Howdon Road. She was invited to join the committee as a tenant representative and regularly attends meetings to pass on the views, opinions and concerns of tenants. The committee does not underestimate the value of regular tenant input to the smooth running of the Trust and appreciates Joan's contribution. 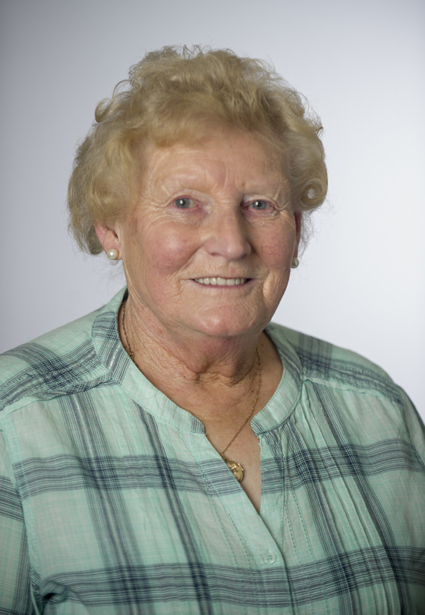 Joan, along with the other committee members, is keen to encourage other residents to become more involved in directing the Trust's future decisions. 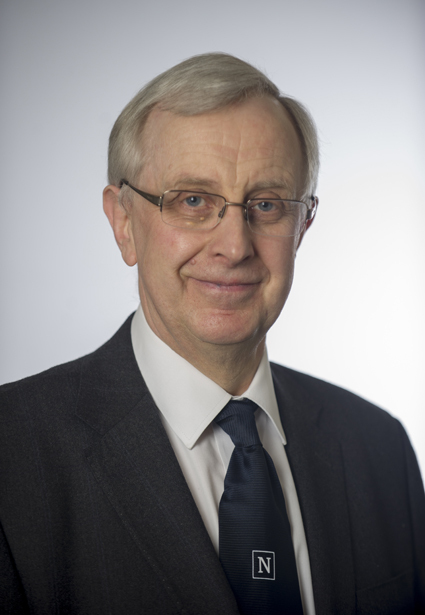 Peter is a retired Chartered Civil Engineer and Local Government Chief Officer. 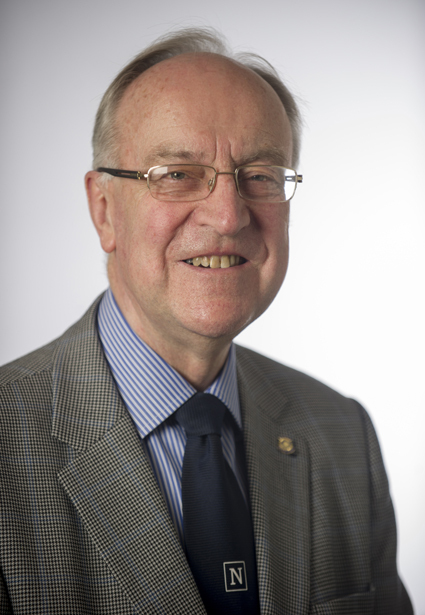 He is a Past President of North Shields Rotary Club, a Trust Director of the Northern Synod, URC, an Elder of St. Columba's URC and works with North Tyneside YMCA developing accommodation for young people. Peter's interests lie in supported housing. Negotiations with Henshaws, North Tyneside Council and Stonham have lead to the Trust providing homes for a number of young people, with visual impairment, physical and learning disabilities. The Reverend Trevor Jamison has been the Minister of St Columba’s United Reformed Church in Northumberland Square since June 2018. Previously, he ministered with churches in Liverpool and Essex, and worked as an adult education officer with congregations across the North East of England. Immediately prior to coming to St Columba’s, Trevor was chaplain for the growing, faith-based, environmental movement, Eco-Congregation Scotland. He is committed to faith communities making a positive contribution to people’s lives in today’s world, including through appropriately maintaining and developing the relationship between Saint Columba's and the Square Building Trust. Keith spent his working life in various departments and agencies within the Civil Service. His final 24 years were spent working on IT projects for the Information Technology Services Agency, the Contributions Agency and Inland Revenue. Having also spent a total of 22 years as church treasurer for St Columba's URC, he brings valuable experience of financial management to his current role as the Trust's treasurer. David is a self-employed graphic artist with 35 years post-graduate experience and a background in commercial design and advertising. He also has additional qualifications in cartography, surveying and planning. With a strong ethical commitment to the aims of the Trust he has applied his professional skills to develop the Trust's branding and communications strategy. David is responsible for creating a wide variety of promotional material, most notably the Trust's brochure and mobile display for the 80th anniversary commemorations held in 2009, and continues with the development and publication of this web site. 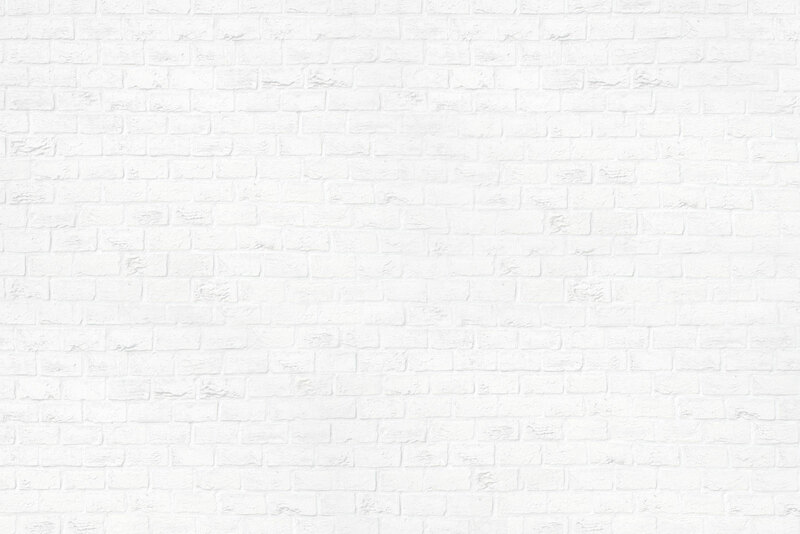 Paul is a partner with Henry Riley, a national cost consultancy and project management company, involved in construction and development in North East England for over 30 years. He has a reputation for bringing a straightforward approach to the development process and being able to steer complicated multi-faceted schemes to successful completion. 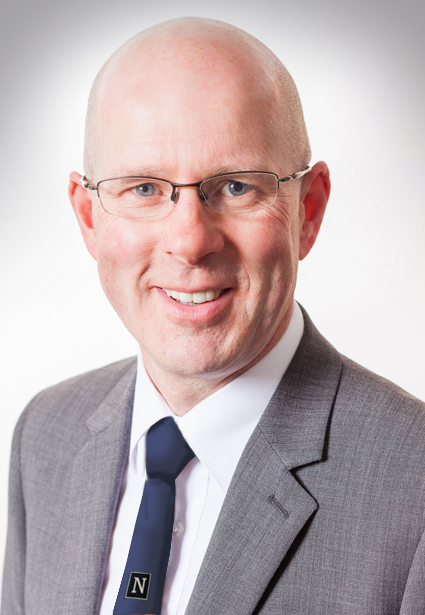 Paul's knowledge of the construction industry and local market enables him to consider the Trust's development opportunities and bring an informed view to proposed schemes. Colin has worked in the Housing field for 48 years, many of which were at Director level. This has required working and liaising with a variety of stakeholders, including Local Authorities, Homes and Communities Agency and the National Housing Federation and others. 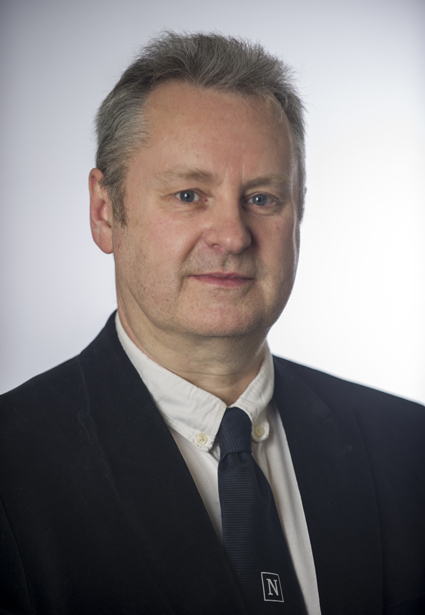 He is a Fellow of the Charted Institute of Housing and is a past Chair on the Northern Counties Branch of the CIH. He is also a past Chair of the National Housing Federation—Northern Region. Colin is committed to supporting and working with residents, committee members and staff working in housing. Good governance and compliance as well as organisational development are his main priorities.